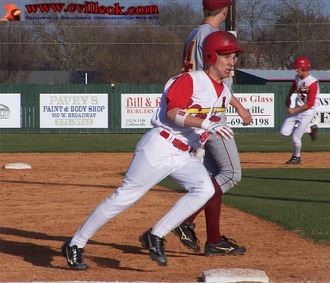 Kevin Phillips (#4) was greeted by Head Coach Tony Reeder as he rounded the bases on a 2nd inning solo homerun in the left photo. 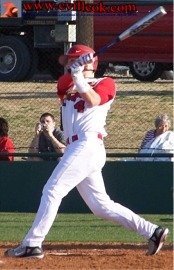 Kevin's homerun swing is in the right photo. 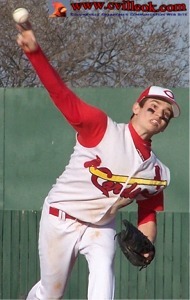 Collinsville used five pitchers to pick up the win over Cleveland. 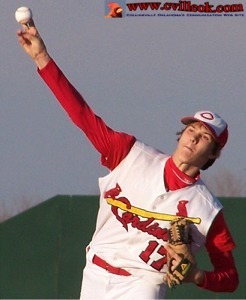 I have photos for three of them above but missed Harrison Mendez and Kevin Phillips on the mound. Cleveland jumped out with 3 runs in their half of the 1st inning but Collinsville countered with 7 in the home half of the 1st. 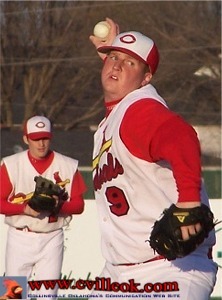 The Cards were up 9-3 after 2 innings. The score was 14-6 when I left after the 6th and held up for the final score. The Collinsville fielders took a break during one of the pitching changes as Jonathan Woods took his warm up pitches in the 4th inning. 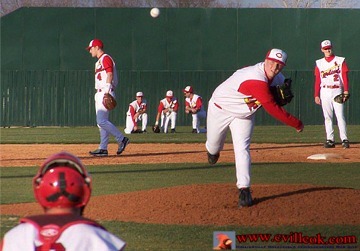 Riley Murr (#19) takes a pitch in the 1st inning as Collinsville's first 2 scores came on bases loaded walks. 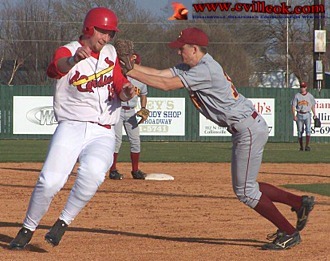 David Chester (#15) was unable to avoid this tag on his way to 3rd base on an infield grounder in the 2nd inning. 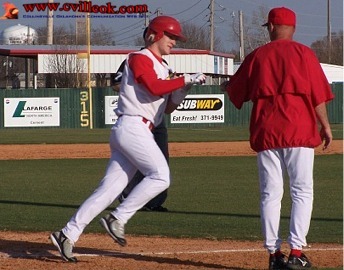 David Chester is greeted by his Cardinal teammates after a 2-run homer in the 4th inning. 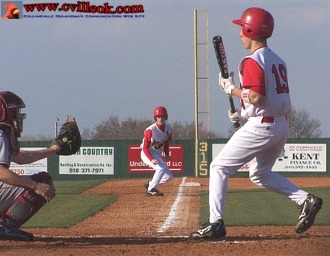 Riley Murr (#19) rounds third to score as Garret Thurman (#7) is on his way to 2nd base with a 1-run double in the 2nd inning. 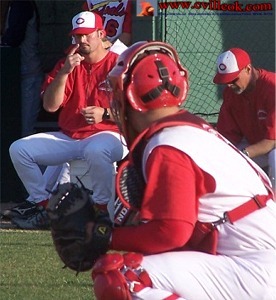 Cardinal catcher Bobby Shoate (#8) gets the pitch signal from Coach Damon Herald. 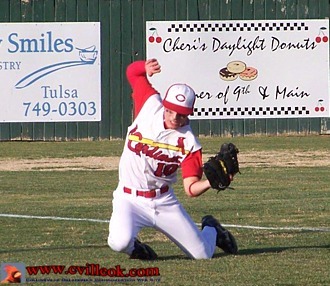 Left fielder Lane Coulter (#10) covered a lot of ground but was unable to reach this foul ball in the 3rd inning.